Debating on whether to take the plunge and dive into the Apple Watch world? I have to say I was too when I first started looking at these bad boys. Everyone seemed to have one, but I couldn't get over the fact of how pretentious it sounded when I simply couldn't tell time, on my watch, because I hadn't charged it? Or how Agent Cody Banks looking it was for me to answer a call through my wrist. Like how privileged does that make a person sound, am I right? Well, my parents took the plunge for me and bought me the watch for Christmas so fast forward a year into owning an Apple Watch and now I have a completely different opinion. It’s a luxury I never knew I wanted but now can’t live without. 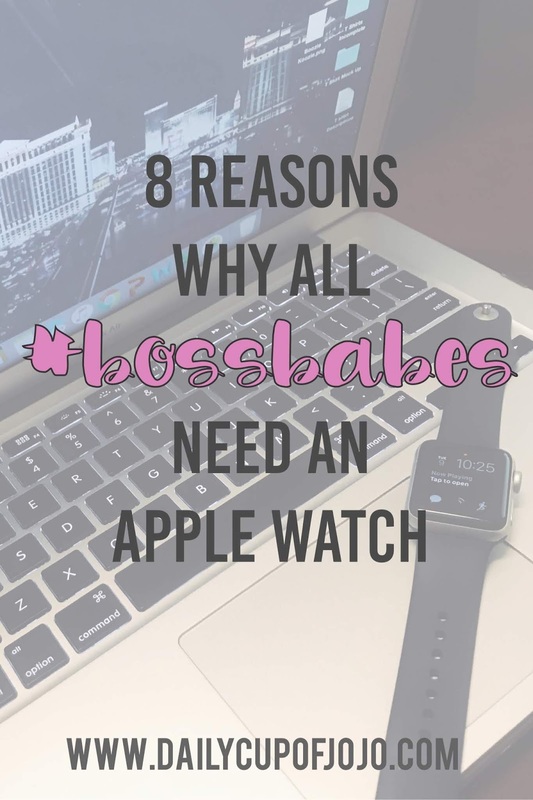 I am a millennial woman who has made the transition from collegiate girl to independent-minded professional, working towards building my own brand, and I have to say, the Apple Watch has kept me on track. 1. The Apple Watch tracks my fitness even when I don’t fitness. It’s a very motivating tool. When I choose to skip gym day the watch lets me know how many active calories I’ve burned. Apparently, I burn about 280 calories a day just sitting at my desk. #worklife. 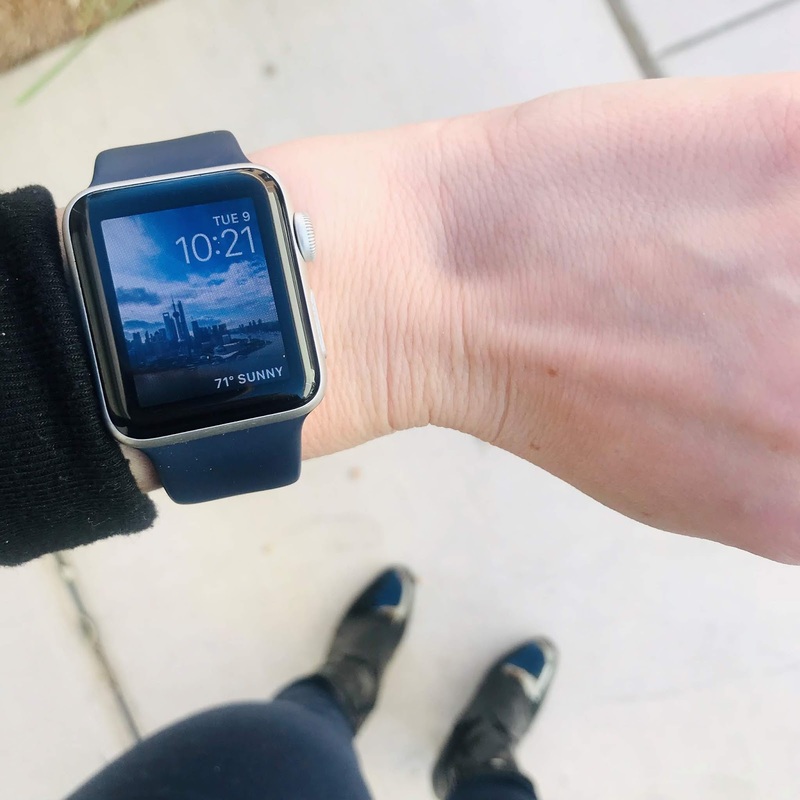 When I do make it to the gym, the watch has a series of exercises I can pick from so the watch can more accurately assess my heartbeat and movements. Afterward, the watch will give me my results and set a goal for me for next time I perform that workout. It's a little fitness coach to keep you on track even when you feel like you're falling off the rails. 2. 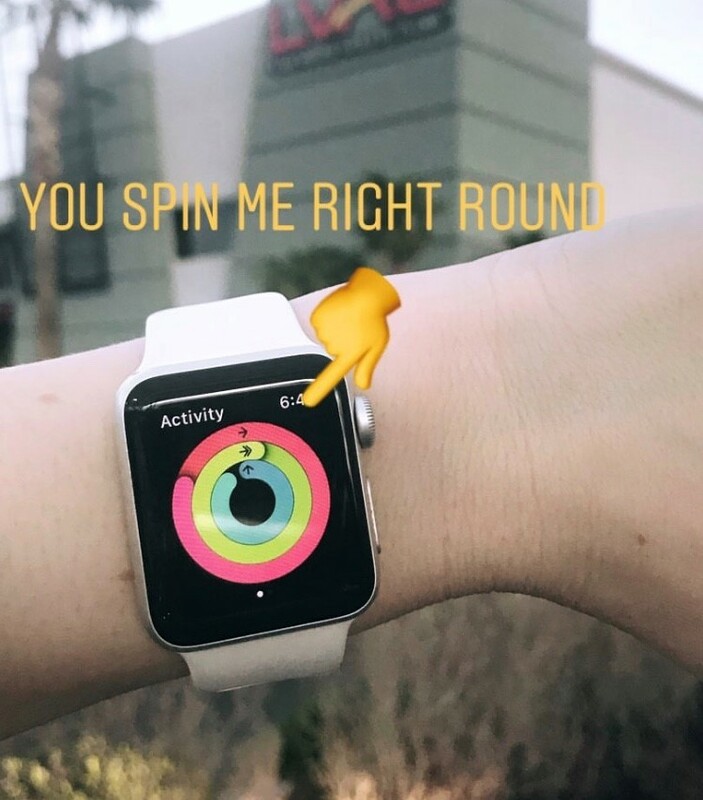 The Apple Watch gives you many ways to reply to a message. You can scribble out your message, speak into it, or use a quick reply preset option. I have to say, these options aren't ideal while you're in a meeting or something but, with that, it has really helped me discover I don’t need to reply immediately. However, while I'm in line at the grocery store, enjoying a happy hour, or have 18 things in my hands, these can be very nice options to consider so I don't have to dig my phone out of my giant tote. 3. The Apple Watch is TOTALLY customizable, fitting all of your life event needs. Not only can you decide form Black, Silver, Rose Gold or Gold faces but you can show off your unique personality with different screen setups, menus, and even bracelets. 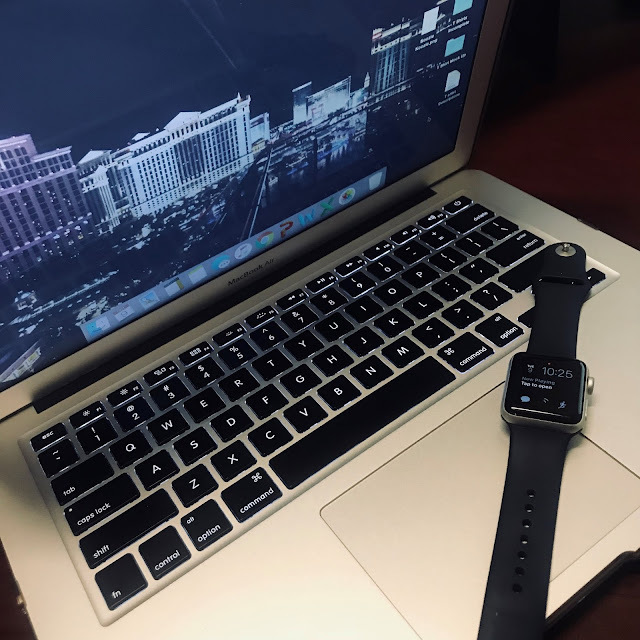 Apple sports bands are my favorite but I have a few that are dressier for special occasions that I've purchased from Amazon. Oh, and my screen is ALWAYS purple and tells me what phase the moon is in, just in case mercury goes into retrograde, ya girl needs to be prepared. 4.Ping! Ping! Ping! What is the most annoying thing in the phone world? When you lose your phone, someone tries calling it and your phone is on silent. It's a lost cause at that point. HAVE NO FEAR, your Apple Watch is here. On the Apple Watch, there is a button that will tell your phone to make a sound, whether it is on silent or not, so you can easily locate the device. 5. The Apple Watch can control your music. Controlling my music is one of my most used features. I like to think I work out a frequent enough amount, so with that being said, I hate running with my phone. My phone is bulky, falls out of my pockets, and the headphones that connect to it are practically a tripping-trap. Now I can link my music and my Bluetooth headphones to my watch and run along. No strings attached, literally. This can also be helpful for the working girl in the city. Free up a hand with your sporty new watch. 6. The Apple Watch can order you your usual, at the tap of a finger. You can order coffee, a burrito, or any type of takeout, all from your wrist. Your PSL can appear like magic. Seriously, you can link your Starbucks App, Chipotle app, any other delivery service app to your watch and you'll have your 'usual' waiting for you at the counter at your nearest location. Now that is what I call 21st-century magic. 7. 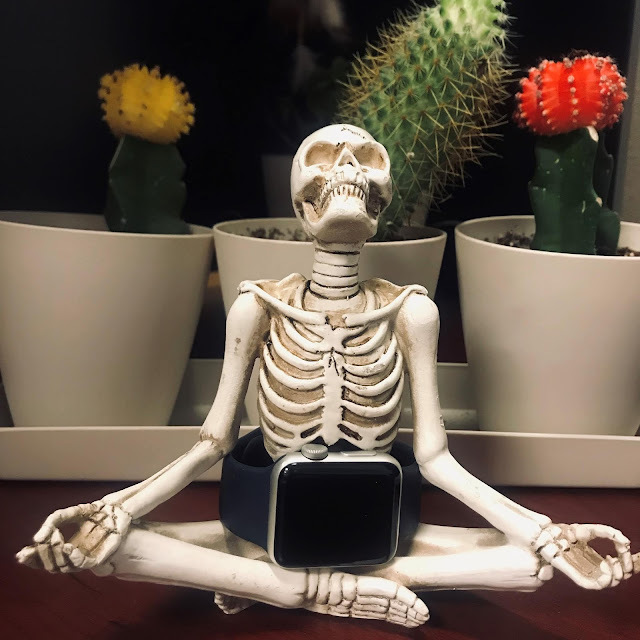 The Apple Watch helps keep you aligned with work and life. Seriously. There is a Breath app that sends you reminders however often you would like for you to take a minute out of your day and just focus on your breath. The watch will guide you through a series of vibrations to signal when you should breathe in and out. It's always a good idea to check in. This can be a very useful tool in the midst of event season or even when everything is smooth sailing int he office. 8. 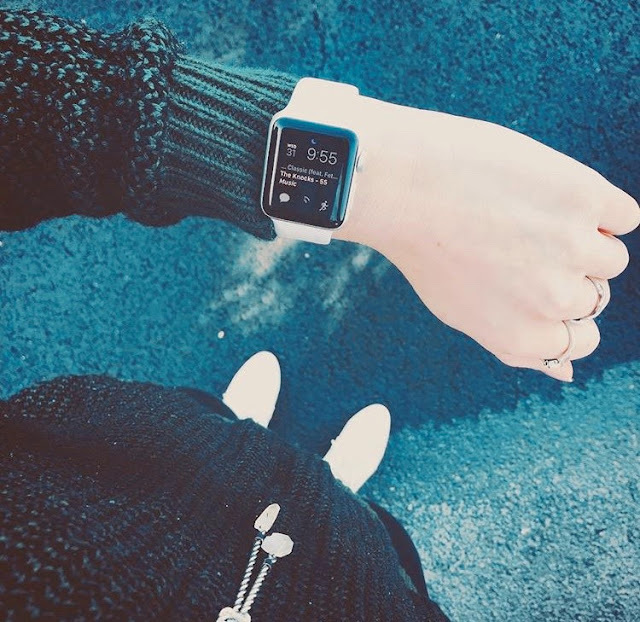 The Apple Watch provides instant happiness. I simply turn my wrist (this is what wakes the watch up) and say " Hey Siri, show me photos of puppies" and she does just that. It's a grand little escape fro,m the day that I can enjoy. This is a tool for women who are constantly running around in an ever-changing universe. Us #BOSSBABES are hustling through life and anything we can use to keep organized is an added bonus to our day. Let's WERK IT, ladies. Definitely been thinking about getting one! I won't lie, I'm definitely on the fence about getting one but this post has me a little confused now. I realize they may increase my productivity but I'd love to see a matching con list to know exactly what I'm getting myself into before I drop the bank on a watch.